Ron Centamore, Steve Stahl, Chuck Black, Lester Williams, Cathy Stubbs and Member Raymond Dettmann. 3) Approval of Minutes: A motion to approve the previous executive board meeting on 5/19/14 was made by Jackson Boren and seconded by Chuck Black. The motion was approved unanimously. 4) President’s Report: Marilyn complained that the City has put an important update during the month of July, with the Social Services Facilities Update. Lee Feldman is expected at this meeting at 6pm to give us the City’s perspective on this issue. She believes that the purpose of the amendment is to shut down the problematic feeding program in Stranahan Park or at least regulate it. It is a comprehensive plan that revamps the entire ordinance, and Betty commented that they leave no place for the services to be rendered since there are so many – distances from this and that, etc. Marilyn said they propose a new map showing the proposed areas which is significantly different than the present map. The most significant change is the addition of the B1 Business District to the map. The people in the new proposed areas are not happy with it. Jackson noted that some areas that show up red are actually schools which do not serve food etc. and the map does not give a true representation of the actual sites that can start up programs. Marilyn stated that the proposed map is made up using zoning criteria where it would be possible to locate a facility. The one exception to the map is any church, anywhere, can have a program as long as it is done inside. There are many new restrictions concerning placement, restrooms, hand washing, food preparation safety, and time of operation. Betty and Jackson said the beach was not addressed and there is a lot of loitering. Marilyn stated that the new loitering regulation does not solve any problems but simply relocated them from downtown to 17th Street and those persons are just not going to disappear, they relocate to a new comfortable place. Some communities will like the proposal, others will say, why me. There are some good and bad things in the proposal. Lee Feldman was introduced to discuss the Social Services proposal that will be before the City Commission in September. He said there were 2 previous proposals that were passed recently concerning loitering and urination/defecation in public and the other concerning storage of personal belongings on public property that is coming back for description changes on September 3rd. The proposal to address public solicitation is still being worked on and it also may be addressed on September 3rd. Camping will not be permitted between 6AM and midnight on public property and things such as discrimination, citizen taking a nap vs. a homeless person taking a nap, is one of the areas still being discussed. The Abbott decision as it stands states that the city cannot prohibit feeding in public areas. The ordinance that is being worked on include 4 different types. Fixed General, Outdoor, Indoor and rehabilitation sites. The sites will be required to have sanitary facilities, proper food handling and temperatures. They will be health graded facilities to limit foodborne illnesses. He said that no additional areas were being added for Social Service Facilities. Marilyn expressed confusion and requested that a closer look be taken on B1 zoning area being added as potential sites due to it being the gateway to the convention center and the beach area. Lee said he didn’t think that was so but would look into it. Existing facilities will not fall under the guidelines of distance from each other, but if a facility closes and is not reopened within 6 months, the new distance rule will be put into place. Marilyn pointed out that some communities with many facilities would get relief over time. Chuck brought up the monitoring of the sites and would it be monthly, quarterly or just when. Code, rather than hiring more persons will reset priorities in order to address the food services compliance issue and the exact manner of the inspections have not been determined. The issue will be further discussed with the Council in September. The proposal will be before the planning and zoning in August and before the Commission in the 2nd meeting in September or the 1st meeting in October. 5) New Business: Chuck Black stated that the Chamber of Commerce has been discussing County Funded Homeless that effects our city in an adverse way. They come to our courthouse and have no way to return to where they came from. And the main objective is to reduce the number of lawsuits and it is being discussed. Jackson brought up the issue of the destruction of 18 acres of coral, dredging of a lake, shipping in hazardous materials and concern of the safety of the tank cars on the railroad. Also he expressed a concern of other potential environmental disasters with businesses being given permission to drill and frack for oil in the everglades and until issues like this gets printed, nothing is done. The information from the port authority has let us know that the only item related to gasoline that is handled by the port is Ethanol that is inbound from the mid-west for gasoline production. There are other hazardous materials that are shipped in and out and can be identified by the numbered signs displayed on the outside of every railcar. Chuck Black brought up an issue concerning a problem on his neighborhood board and asked if the Council could help with the issue. Marilyn stated that the Council is a coalition of associations as members that all operate under their own by laws and settle their own issues. Persons can ask advice of individuals, but not as an action or decree of the Council. The only issue that the Council will do on an associations behalf is to sponsor and/or monitor elections and will perform that function on receipt of an official letter from the president of the association requesting the assistance. 6) Old Business: Ron inquired what is being done with the public participation ordinance. Marilyn stated that the vote of the membership fell through and said if the committee chair is not in attendance at the next meeting, Ron is a member on that board and should propose a resolution to the issue at the next meeting. At our last meeting it was reported that we had 45 members. Linda stated that as of 7/6 her count is 38 and she counted it several times. 7) Future meeting agendas: Our next meeting we will have Dr. Blackburn to discuss the proposed $800,000,000 improvements to the Broward County Schools. It is being called a “smart initiative” that will fund safety, maintenance, art and technology. Linda stated that there are complaints of large pay increases and little accountability for how the funds are spent. Marilyn quoted a Sun Sentinel article stating that this will cost every taxpayer $50/yr. for the next 30 years. Linda and Betty said they would like to know what schools and exactly what is being done with the funds, just as every business has to do. The proposal without this information will lead to funds not being placed where the citizens think it should be. Betty will be out of the country and won’t be able to take the lead on a discussion with Chester Ludwig that is on the Education Advisory Board and will come to the meeting and can answer questions concerning the county and also the city schools. Betty stated a big issue for the city schools is getting a better identity for Fort Lauderdale Schools to have them stand out from the county schools. 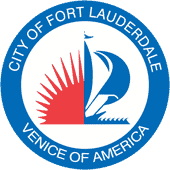 There are 3 ideas that have come up, logos to be displayed on busses, signage, ask businesses to adopt schools and mentor and to get a link on the school website to identify city schools which are never mentioned at the School Board meetings and there is not any identity for the Fort Lauderdale Schools. The School Board has hired a consulting firm to do a needs assessment and 5 city schools came up as needing improvement. There are many schools that are in bad shape and we need to know if they are included in the upcoming $800,000,000 proposal. Linda stated that if they don’t come up with a comprehensive plan, the proposal is doomed to fail. People are having a hard time keeping up their personal issues without being burdened with the additional tax. At the August meeting we will also discuss briefly the upcoming budget hearings to be held in September and ask candidates to come to an extended meet and greet prior to the meeting, but not to give any presentations. It was announced that a meeting was going to be held with civil and county judges on August 6th at Art Serve. It was suggested that we could combine code enforcement, conservation and Florida friendly Landscape. Communication between our County commissioners is lacking and we need to ask them to furnish us with some form of communication that we can share with the membership as to what is going on. Some commissioners have newsletters some do not. Tobacco Free Florida will be asked to give a presentation at a future meeting, possibly in October. 8) Adjournment: The meeting was adjourned at 7:06PM. 1) Call to Order: The meeting was called to order by Marilyn Mammano, President at 5:35 PM. 2) Attendance: Present: Marilyn Mammano, Ron Centamore, Lester Williams, Chuck Black, Jackson Boren, Cathy Stubbs, Brucie Cummings, Steve Stahl. and Ray Dettman. Ron Centamore, First VP declared a quorum was present. 4) June General Meeting: We will Invite Yvonne Garth of Garth Associates to give us a Convention Center Presentation to discuss the 4 options, building design, traffic congestion, street extensions, etc. Also an update on All Aboard Florida Quiet Zones and Marine concerns with bridge closings. Steve agreed to take point on these issues. 5) August General Meeting: Meet and Greet for Candidates up for election. Suggested ½ hour for introductions and ½ hour for candidates to speak. Also, hands only CPR presented by Jo-Ann Lorber, Battalion Chief, Fort Lauderdale Fire-Rescue Emergency Manager. 6) Future items with dates to be determined: –Ralph Page with Broward County Crime Stoppers to discuss their operation with the police department and raids-on-line. –Julia Roberts, to discuss an update of last year’s report regarding school repurposing, also with the appropriation to come of a proposed 800 million dollar bond for the schools, raise questions concerning the disposition of schools that have been closed, and what has been saved in doing so. –Social Services Rehab Facilities, raise questions concerning higher densities in some neighborhoods and not evenly distributed across the city and Sober Houses legislation that would have required a license to operate. Ray Dettman agreed to take point on these issues. 7) Announcement: The Association now has 45 members. 8) Adjournment: The meeting was adjourned at 6:40 PM.